The Middle School Language Arts Curriculum is on a three-year cycle and corresponds with the Social Studies Units. In Reading Class, we delve into these units by reading novels which allow us to explore historical and social issues. We read, discuss, listen and formulate opinions and solutions through reading and debate. Some of the works we read include: To Kill a Mockingbird, All Quiet on the Western Front, Fallen Angels, The Adventures of Ulysses, Heroes and Monsters of Greek Mythology, Romeo and Juliet, Shabanu, A Christmas Carol, Animal Farm, Night, Farewell to Manzanar, The Giver, and more! 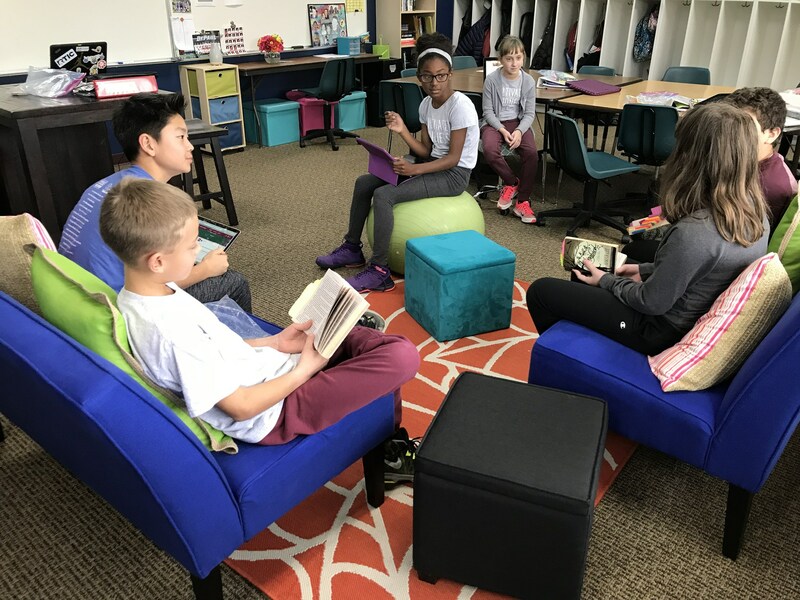 Students deepen their understanding by gathering information on the author, the time period, historical events, and/or social issues in the novel. Students create hands-on projects, oral presentations, gamification competitions and participate in debates that illustrate a deeper understanding of the text.